DPF cleaning company information - serving customers in Manchester, Bolton, Bury and Lancashire. 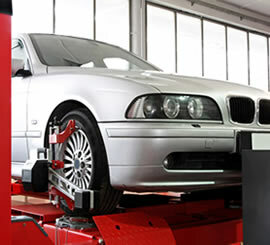 DPF Cleanse is a family-owned business offering reliable and trustworthy garage services for more than three decades. We take pride in delivering a personal service with a high standard of work and value for money. Our time-served mechanics are qualified in all aspects of vehicle repair, servicing and maintenance, serving both public and business owners of cars, vans, plant equipment, LGVs and PSVs. Our well-appointed workshops in Bolton are easily accessible and just a few minutes' drive from Manchester and surrounding towns including Bury, Rochdale, Stockport, Wigan and Warrington. Our team of knowledgeable technicians use state of the art DPF and vehicle diagnostic equipment. Prior to any work required we will discuss your concerns and outline the tasks involved, so you know what will be undertaken and the cost involved. View our contact page to see our map location, opening times, full contact details and online enquiry form. Contact us to confirm your vehicle details. We will then provide you with a price for the service. Safely pack your DPF into a strong box not forgetting to include your contact information on the outside. Our approved courier will collect the box and filter, and transport the package to our Greater Manchester workshop. Our experienced technicians will receive and clean the filter. We will confirm to you when this is completed. Your box and filter will be repackaged and returned to you promptly by our approved courier.